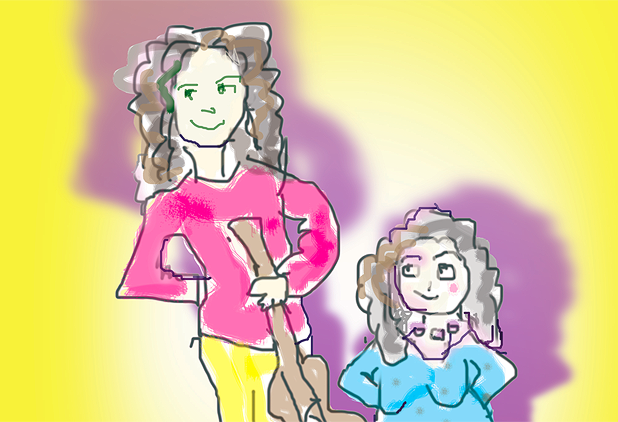 Glasgow comedy queen Janey Godley has pushed all her blue material aside to team up with daughter Ashley Storrie for their kids show Tall Storrie & Wee Godley. She tells us why we should go along. Give five reasons why people should come and see Tall Storrie & Wee Godley. It’s fun for all ages – tots and grannies will love it equally. At no other place or time in the Fringe will you see Janey Godley perform both dance and gymnastics. It’s the only mother and daughter show at the Fringe. Kids can bring along their musical instruments and talent and join in as the house band, giving them the opportunity to perform at the fringe without the massive advertising fees or venue costs! There will be no puppets – which is a good thing as we all know how frightening puppets can be. Name four of your favourite things about being in the Edinburgh Fringe. The atmosphere is electric and for one month every year you feel like you’re part of something huge. You can never be bored at the Fringe, there’s no excuse for it. The fact that for one month a year it’s socially acceptable to just have a chat to strangers on the street (as long as you’re handing out flyers). It’s the one time of the year you can make up stories about Edinburgh Castle to foreigners – we’ve told people it’s a bowling alley/ roller rink. What three words sum up the Janey/Ashley style of children’s entertainment? Name two other Fringe shows you don’t want to miss this year. Tony Tanner’s play Charlatan at Assembly Hall and Tara Flynn Big Noise at Gilded Balloon. What one thing do you wish you’d known as a child? That not all cats are cuddly – and I have the scars to prove it. Pleasance Dome, 556 6550, 7–30 Aug, 12.45pm, £8.50–£9.50 (£7.50–£8.50). Previews 4–6 Aug, 12.45pm, £5.